The City is set to put out an RFP to redevelop the old City Jail, which has sat vacant for some time. 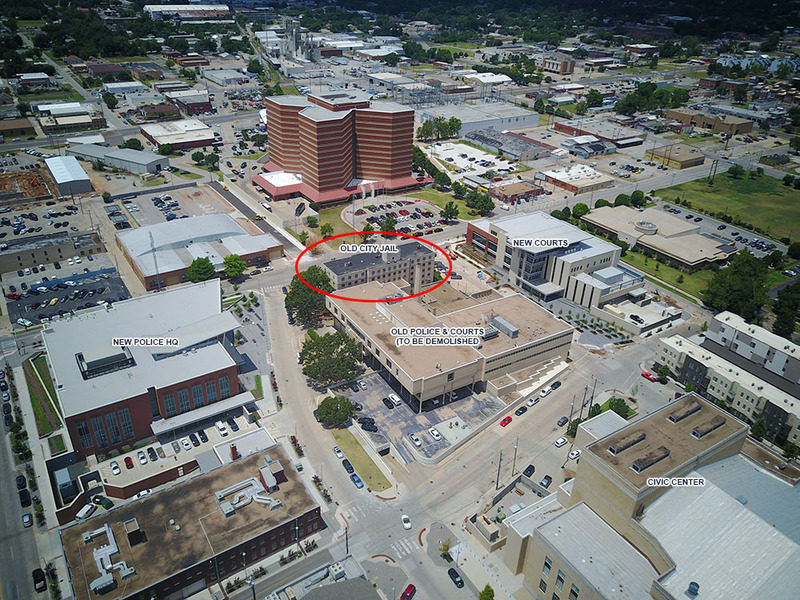 The new Municipal Courts building will open this summer and thus the old courts and police station immediately east of the jail will be demolished, more or less completely the civic redevelopment work in the immediate area. The property is just south of another city-owned parcel that is also soon to go out for RFP, vacant land at 4th and Shartel. Proposals are due September 26th. 8’ clearance, while floors 3-6 have clearance of 6’10”. must ensure that significant historic characteristics of the building are maintained. be contingent upon funding from The City of Oklahoma City. supported construction of all four buildings conceived in the Civic Center plan. utilities to the Old Jail will need to be provided in a future renovation. • The building is not compliant with the Americans with Disabilities Act. • No fire alarm or sprinkler system exists except on the ground floor. Appendix A for the “Asbestos and Lead-Based Paint Survey” report of July 14, 1995.
information about tour content and safety procedures. design, form, and urban character of the district. This is great news! What is the most likely proposal? Apartments? I hope something can be done with this but am not super hopeful. They tried this in 2012, nothing came of it. Times have changed, but the floors in that building are very low with is a big limitation, and there are other issues as well. Maybe the time is right now. Hope so. Looks like they only received one response to the RFP and they have deemed it not to meet requirments. City Council will vote today to reissue the RFP; this will be the 3rd attempt. 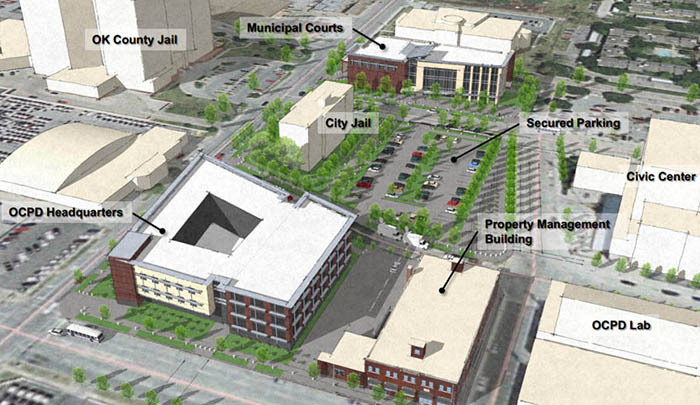 The City is seeking proposals to redevelop the Old Jail facility. upon funding from The City of Oklahoma City. bidding system for proposals to be received on September 26, 2017.
nonresponsive to the requirements of the RFP. be readvertised for two weeks. What was the proposal that was rejected? It was not included in the agenda packet for the meeting today. 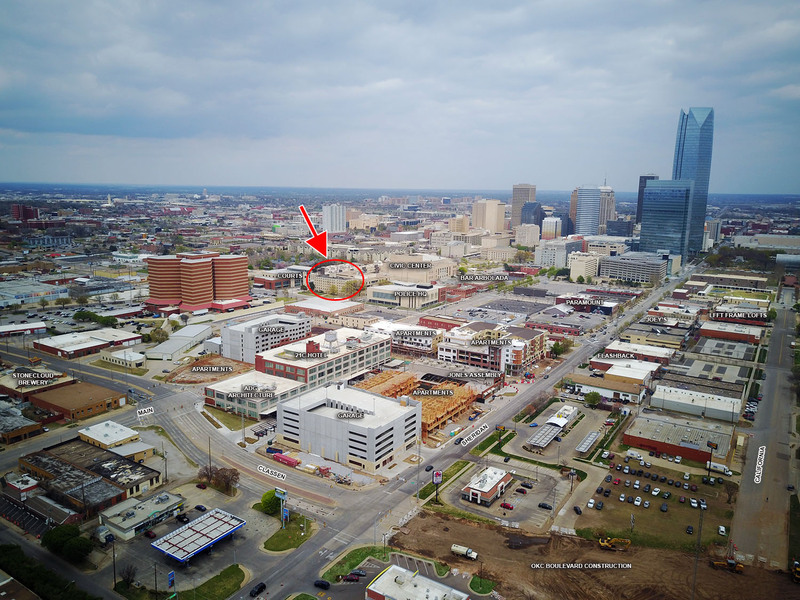 OKLAHOMA CITY – City Hall is going to ask developers for better ideas for the old city jail property this week. The first round of pitches was less than satisfying, Planning Department Director Aubrey McDermid said. “The only offer we received was to demolition the building,” McDermid said. “Nothing after that. Just demolition. “That won’t do at all,” she said. 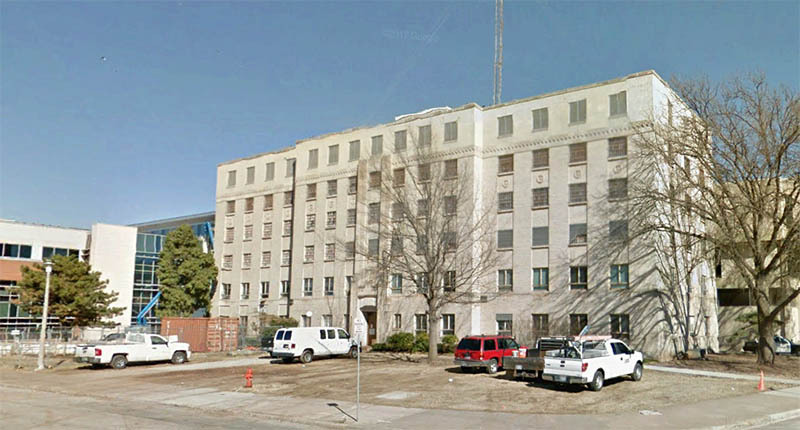 The six-story building at 200 N. Shartel Ave. originally served as the police department headquarters in addition to a detention facility when it opened in 1940. Administration offices moved out in the 1960s, and the city jail closed in the 1990s. The building has remained empty since then. City Hall built a new headquarters last year to the south. 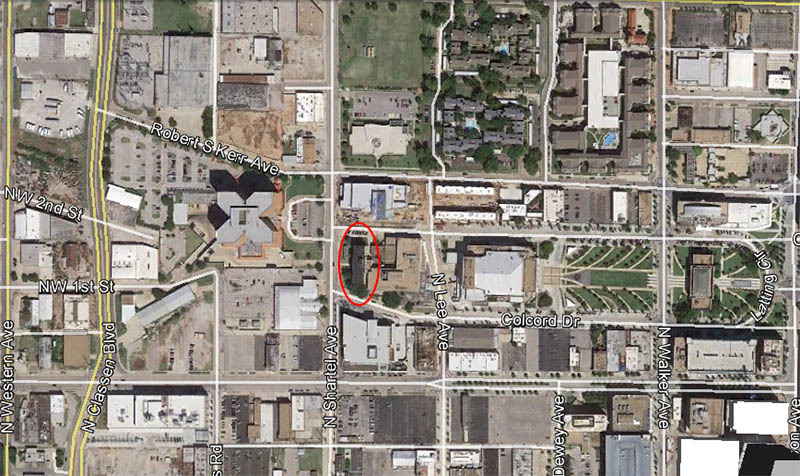 Police officers now book people into the Oklahoma County detention center about a block to the west. Even if someone can envision a use for the building’s shell or floor configuration – the top floor is shorter than comfortable for the average person, McDermid said, and probably only good for storage – rehabilitation will be a challenge for environmental reasons: The original builders put a lot of asbestos and lead paint into the building. “Remediation will be costly,” she said. City staff on Tuesday will request council members decline the proposal by Gator Industrial to raze the site without putting something in its place. Proposals must demonstrate how they will support and leverage ongoing and planned downtown development. McDermid said City Hall hopes for a plan that would include historic restoration, which might open the deal for tax credits or other government-related funding options. However, she stressed that the city does not currently have money to help. A business improvement district fundraising plan would have to be proposed by the developer. McDermid said a new round of requests for proposals is expected to attract a group of developers related to Marva Ellard, a developer who came forward about five years ago when City Hall first tested the market. Ellard’s proposal at the time highlighted the potential for multi-use: a diner restaurant, convenience store or laundry, with a second phase dependent on the first. 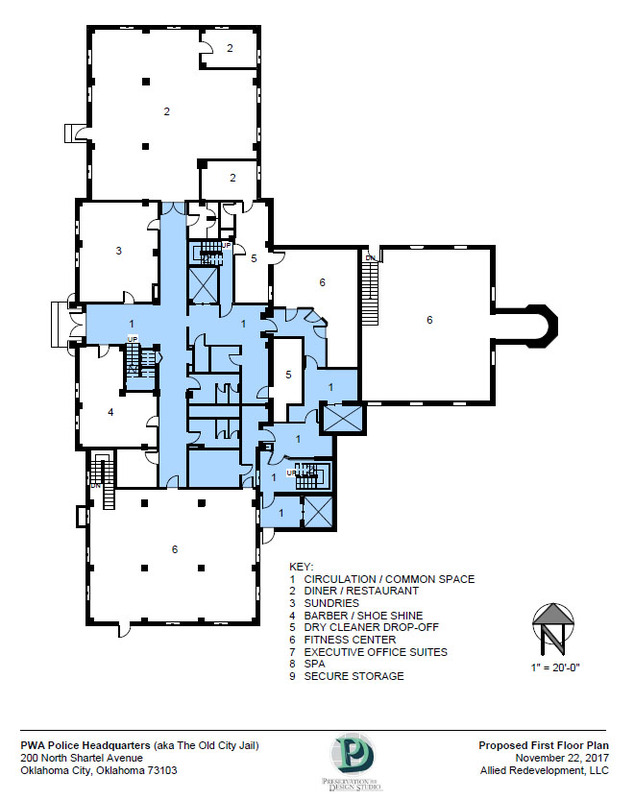 According to the RFP document, each of the building’s floors has 6,800 square feet for a total of about 41,000. The first round of proposals was advertised in The Journal Record and posted in the electronic bidding system for proposals to be received on Sept. 26. That invitation attracted 89 potential proposers who viewed the RFP document, but only Gator responded. I was in Tampa recently and their former downtown post office, which later became the courthouse (similar to ours), was then sold after they built a new courthouse. It was converted into a hotel a few years ago and the entire basement, which used to be the jail/holding cells, was converted to rooms and amenities. I went on a tour and if they hadn't told me it had been a jail I would not have been able to tell. This building can be made beautiful and useful again. With the city not currently having money to help (no TIF funds for this but everything else?) and the fact that you have asbestos in there and its an older structure, the city might have to just give it away due to the fact it will take a bunch of money to renovate. Otherwise, the numbers might not make any sense for any developers if they have to pay a significant amount of money for the property. Either way, the city should do what they can to keep the building and find someone who will bring it back to life. TIF would be available for this project, as it's in TIF 2 which has collected way, way more than ever budgeted. It could be through all these loans to developers that they have obligated all existing funds. make the upper floors into an urban Public Storage. Sounds like there really isnt much of a plan. Also, the city did a poor job on the RFP. Little notice, no viewing period, very little info to go off of. Hope something can be done with it though. In the City Council materials a 'review committee' was mentioned whereby they made this selection after posing some questions to the responding group. The council did not receive a copy of the response or even a summary of what was being proposed; just a memo asking them to provide approval to proceed then a quick presentation by Ellard and Montgomery at their last meeting. Apart from the council meeting, I don't think any of this was public and not sure why it wasn't. Normally I abhor non-transparency. But this is a supremely important (to not destroy) building (IMO the civic center buildings are a set that we should not separate), and also the last RFP ended up with MW Wrecking submitting an RFP to demo it. OY. Definitely don't need more of that.